The Christmas tree in Longyearbyen got nicknames like the Low-carb Tree and the Christmas Twig. Wednesday morning, the residents of Longyearbyen on the Arctic archipelago of Svalbard woke up to a brand new and lush spruce in the city square. 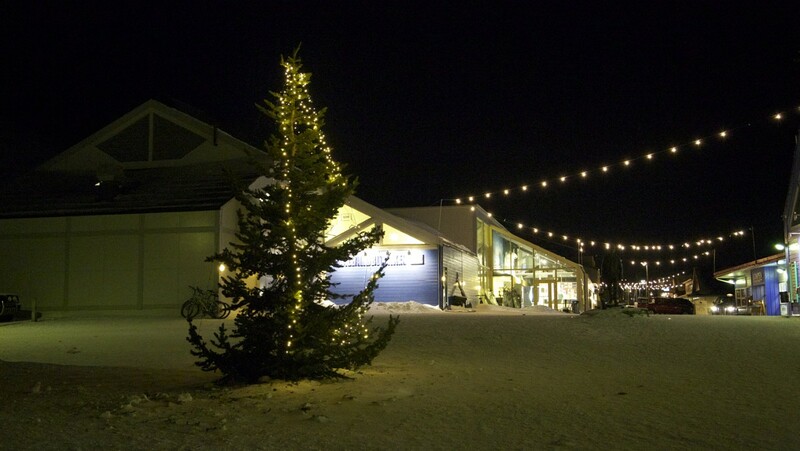 It was late last week that NRK wrote about the slim Christmas tree in Longyearbyen on Svalbard. The population living on the treeless islands is used to receive Christmas trees from mainland Norway. 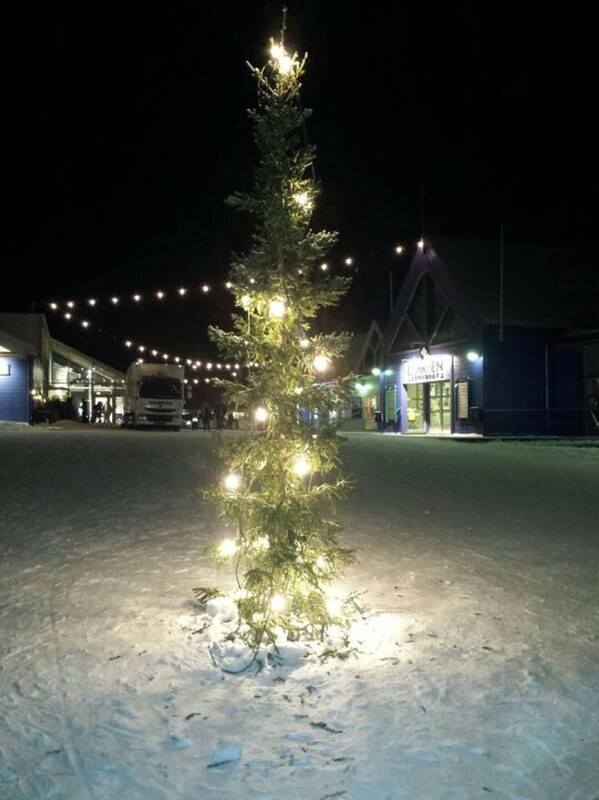 According to tradition, Longyearbyen got a tree placed in the main street square as a gift from Tromsø municipality. But even if they are used to settle for a smaller Christmas tree than other Norwegian cities, it rarely has been as slim as this year’s spruce. The reason for the slim tree was that it was transported by air, and Tromsø municipality had to send the slimmest possible spruce. After many complaints, a new tree was sent from Tromsø right before the weekend, and Tuesday it arrived in Longyearbyen. In the dead of night the old “twig” was removed, and the inhabitants on Wednesday morning saw a completely different spruce as they walked across the square. It takes more than two people to walk around the new tree in Longyearbyen, – unlike the old one. – It seems that the local council wanted to replace it in silence, says Marcus Krogtoft. But not everyone was pleased. Haakon Sandvik tells that the town is used to getting strange trees from mainland Norway. – It was slim, but it was the meaning we should have this tree this year, he says. ‹ Photo by: The Reindeer Bella! ‘Christmas Twig’ hahahahaha! 😀 That’s hilarious!